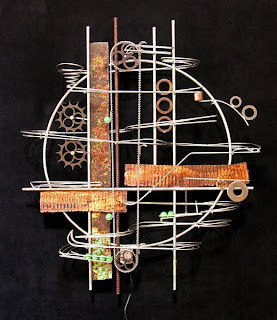 Our "Bending Metal" Show features work by metal artists including Dave Borrus, Rob Lorenson, Jamie Burnes, Cheryl Williams, Rick Carpenter, Laura Reinhard, Whitmore Boogaerts, Jeffrey Zachmann and Phill Evans. 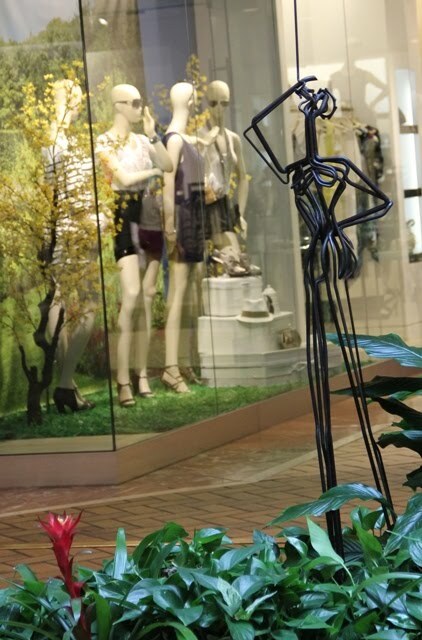 Sizes range from small tabletop pieces to large outdoor sculptures. Come take a look at the many forms metals can take in these intriguing sculptural artworks. 36" x 29" x 8"
"Bending Metal" runs through September 6, 2010. 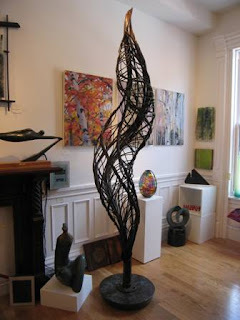 Our ongoing show, "Growth" continues through June. Our next show, "Sea" opens July 1. 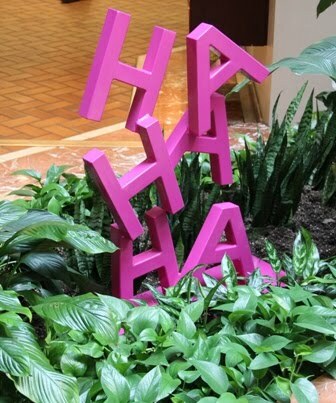 Twenty sculptures by L'Attitude Gallery artists are being featured in a sculpture show in the atrium at Copley Place in Boston. 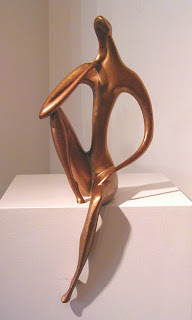 All sculptures are available for sale. 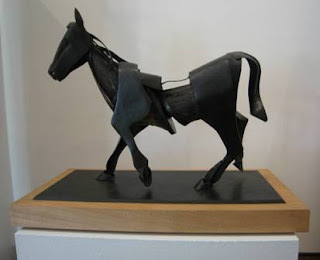 We have other work by each of the artists here in the gallery as well. 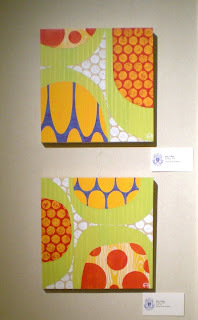 Mary Calkins' colorful abstracts paintings on board (12"x12" each) are titled "Be-Bop I, II and III." "Be-Bop I" and "Be-Bop II" are shown here. 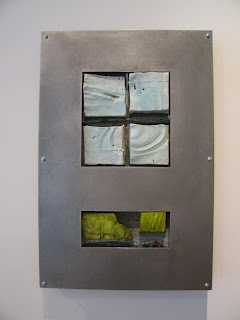 Don Williams has an interesting metal and ceramic piece called "Dreaming Spring". The combination of "hard" (metal) and "soft" (ceramic) elements makes for an interesting composition with a cutting edge feel (18" x 12"). And Stephanie Warburg's atmospheric "Not the End of Summer But the Beginning of Fall" in oil, 18" x 24", has been attracting attention.